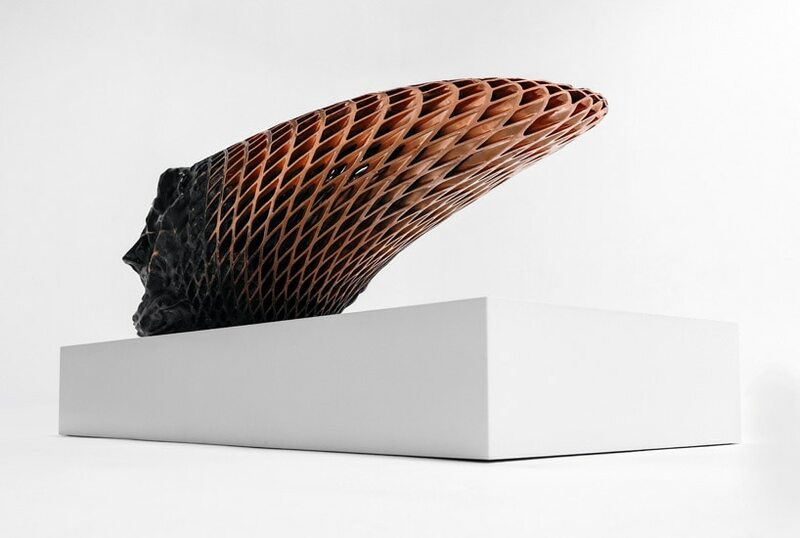 digital sculptor janne kyttanen‘s multidisciplinary work is the result of exploring and intersecting 3D printing, virtual and augmented reality. 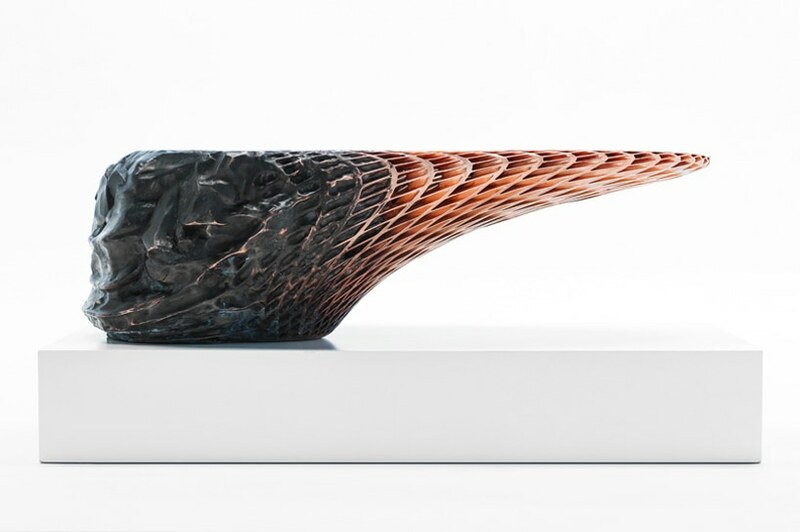 at design miami/, gallery ALL unveils the the finnish artist’s dynamic ‘metsidian’ — a piece that hovers between the boundaries of sculpture and furniture; an eruption that melds two divergent materials together. the result is something of an organic volcanic obsidian that transforms into a clean, fluid metal mesh. 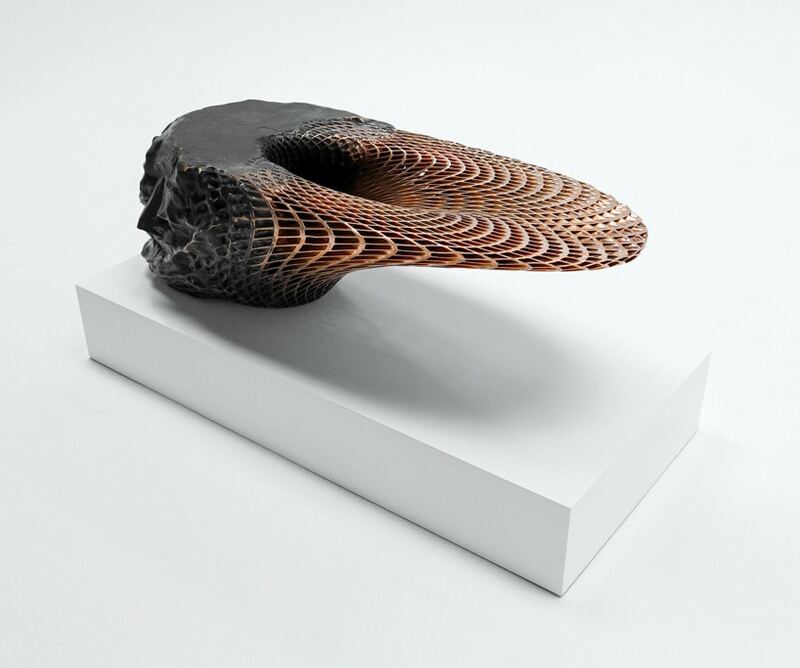 in creating ‘metsidian’, kyttanen explored alternative methods for combining paradoxical materials asking himself: ‘if we’re able to use explosion welding to join materials that wouldn’t naturally fuse together – what would happen if we could control this force digitally? 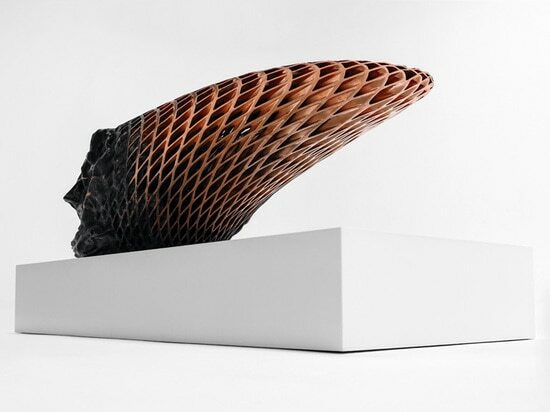 what kind of hybrid matter could we create?‘ a compelling metamorphosis in which the impossible becomes reality, ‘metsidian’ is a harmonious union of otherworldly form and everyday function. 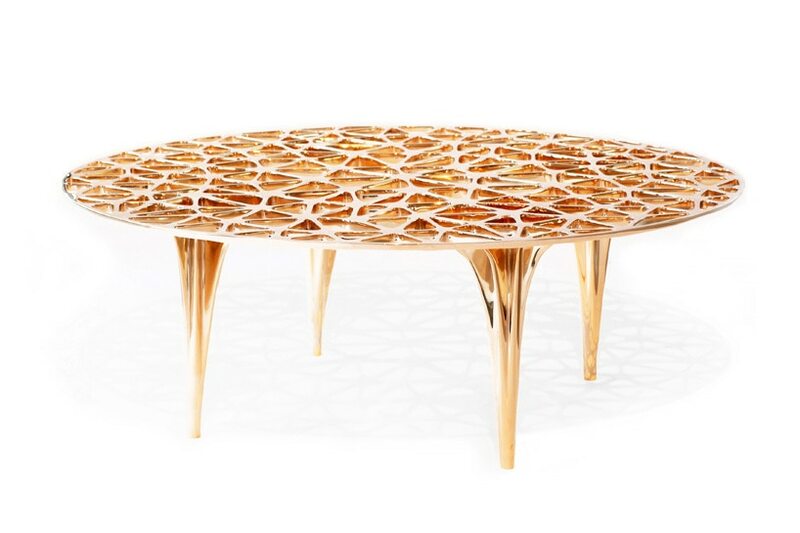 galerie VIVID will compliment the presentation of ‘metsidian’ by debuting kyttanen’s latest design in form study: the ‘sedona table’. 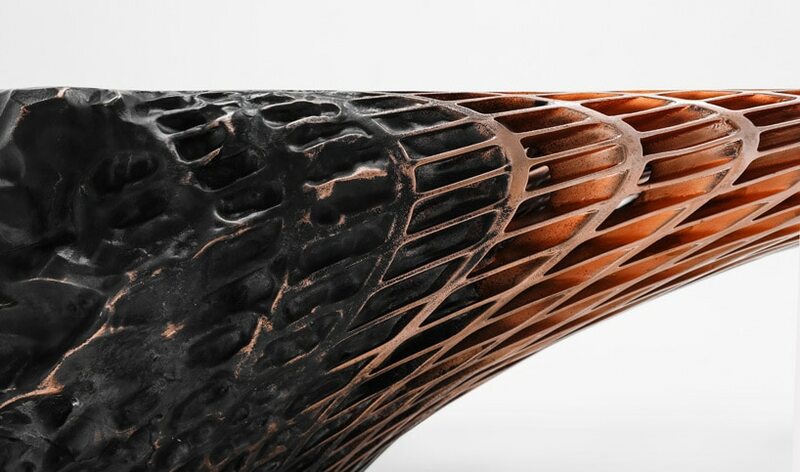 drawing influences from the infamous red rocks of sedona, the furniture object references the peaks and plateaus of the arizona desert’s unique sandstone formations, expressing a strong silhouette that features delicate, organic triangular detailing completed by a bronze mirror-finish. 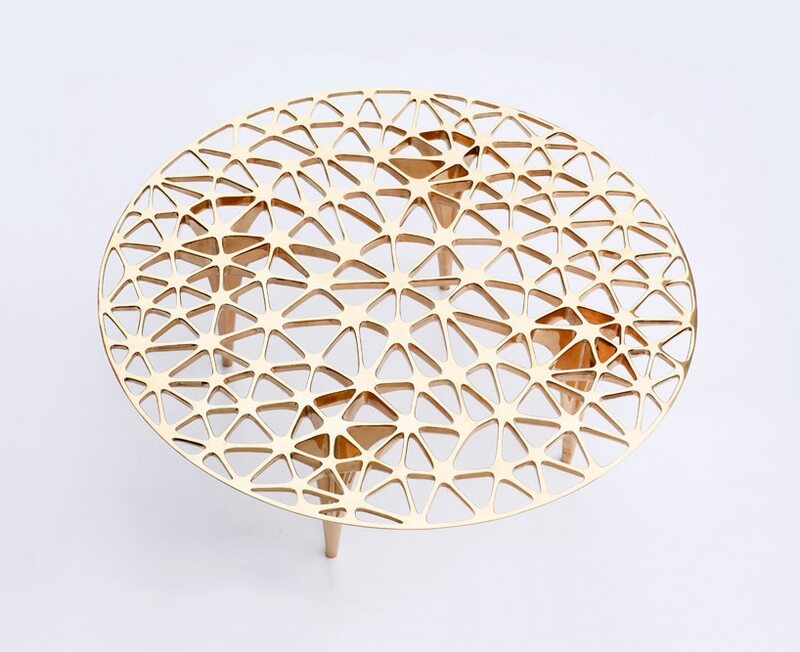 alongside the ‘sedona table’, galerie VIVID is showcasing a selection of kyttanen’s other works including the ‘macedonia tray’, ‘avoid stool’ and ‘avoid chandelier’. the ‘macedonia tray’ is one of kyttanen’s signature designs and has been included in the permanent collection at MoMA. 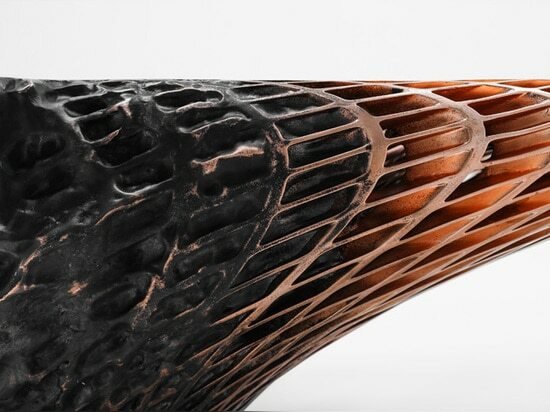 taking its shape from the structures formed by soap bubbles, it is being exhibited at design miami/ in glossy bronze. 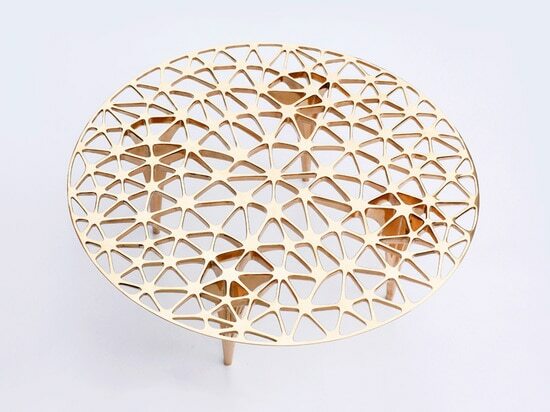 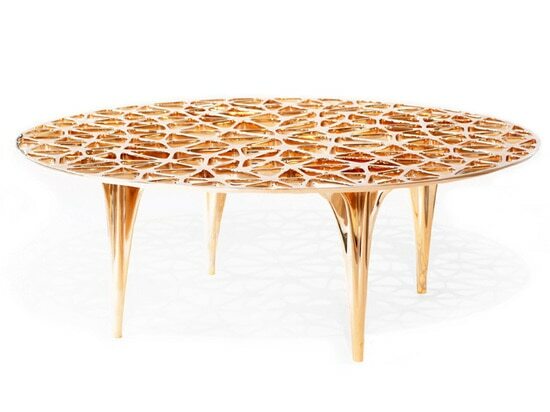 evidence of kyttanen’s exploration of 3D printing in his creative practice, the ‘avoid stool’ is a copper plated seating object made using the additive manufacturing process to form an intricate, complex diamond structure influenced by lie sphere geometry.